FORT LAUDERDALE, FL, September 13, 2016	(Newswire.com) - Rand Internet Marketing, a professional website design, development, and web marketing company, expands its on-going company commitment to help area non-profit organizations, by announcing its sponsorship of the Leukemia & Lymphoma Society’s (LLS) upcoming Light the Night® Walk. Spurred by Rand Marketing’s CFO, Lauren Rand’s recent lymphoma diagnosis, the company will also participate in the walk on Saturday, Nov. 12, 2016, beginning at 5:00 p.m. at the Huizenga Plaza in Fort Lauderdale. According to the LLS, the Light the Night Walk is a community celebration of music, entertainment and camaraderie, where friends, family and co-workers gather to celebrate their fundraising success and show their support in the fight against blood cancers. The Huizenga Plaza, located along the New River in downtown Fort Lauderdale and at southeast corner of Las Olas and Andrews Avenue, features a 150-seat amphitheater, an ornate, decorative fountain, and open green space. While many people have health insurance coverage, there is still a challenge covering travel expenses to and from their doctor appointments, and the lost wages that many people experience through missing work while undergoing treatment. As the world's largest voluntary health agency dedicated to blood cancer, the LLS’s mission is two-fold: to cure leukemia, lymphoma, Hodgkin's disease and myeloma, and improve the quality of life of patients and their families. 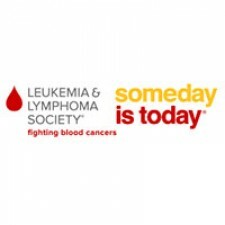 LLS funds blood cancer research around the world, and provides free information and support services. Rand Marketing recently launched a team page and is soliciting donations and additional team members online here. For more information about the Fort Lauderdale event, please contact the Light the Night office at 954.744.5311 or through email: LTN.FLH@lls.org. Rand Internet Marketing, named to the 2016 Inc 5000 list, provides professional website design, development, and programming in addition to online marketing services to hundreds of national and South Florida-based businesses. Led by founder and CEO, Seth Rand who was a 2016 South Florida Business Journal 40 Under 40 Honoree, the Fort Lauderdale-based firm has grown since its inception in 2010 to more than 20 in-house designers, developers, and internet marketers. The Rand team specializes in responsive website design and programming, including WordPress, Magento, WooCommerce, Shopify, Zoey, 3dcart and other e-commerce platforms; SEO (search engine optimization) and Google AdWords PPC (pay-per-click) campaigns; social media marketing; and online content marketing. Rand Internet Marketing was named a Premier Google Partner in 2016, a Google Partner AllStar in 2015 and also holds an A+ rating with the Better Business Bureau. The Rand team also supports the community through its support of local non-profit organizations such as the Leukemia & Lymphoma Society, Autism Speaks, Abi's Place, The Multiple Sclerosis Foundation and more. For more information, call 888-707-7263 or request a free initial consultation online at http://randmarketing.com/request-consultation/. The Leukemia & Lymphoma Society ® (LLS) is the world's largest voluntary health agency dedicated to blood cancer. The LLS mission: Cure leukemia, lymphoma, multiple myeloma, and improve the quality of life of patients and their families. LLS funds lifesaving blood cancer research around the world, provides free information and support services, and is the voice for all blood cancer patients seeking access to quality, affordable, coordinated care.